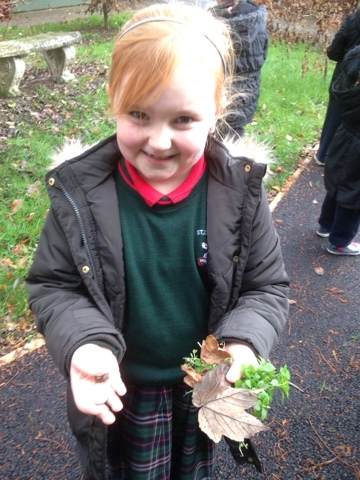 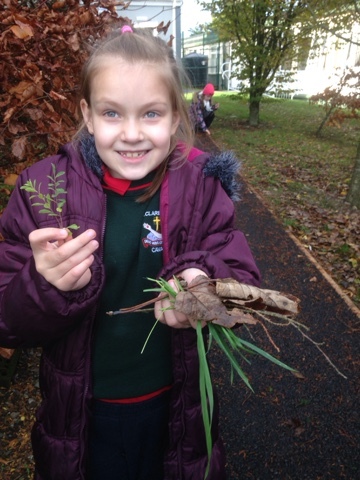 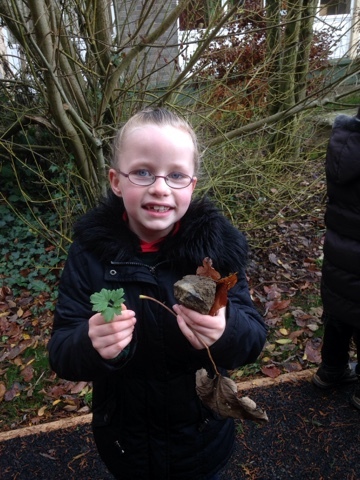 On Wednesday we went on a nature trail around the school to find as many natural things as we could! 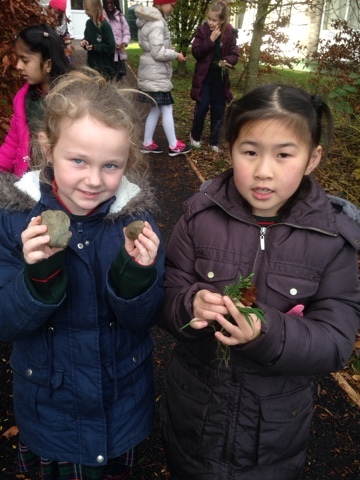 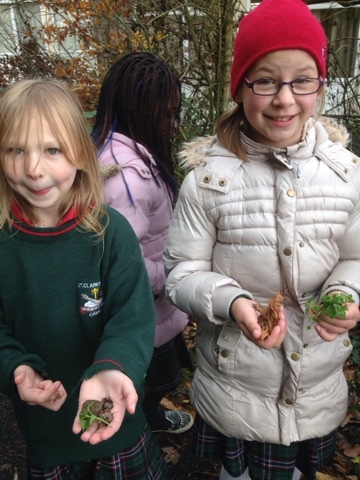 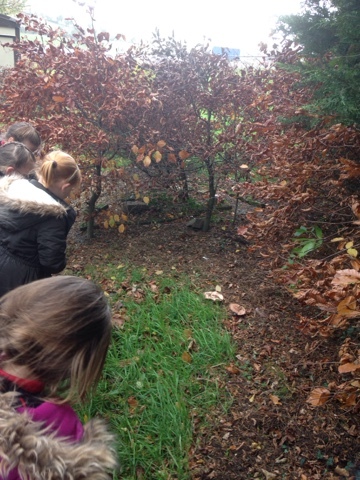 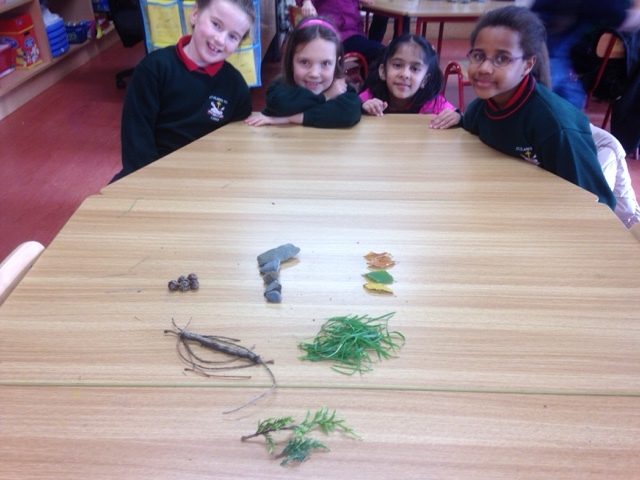 We found loads of things, including leaves, stones, plants, branches, and even a mushroom! 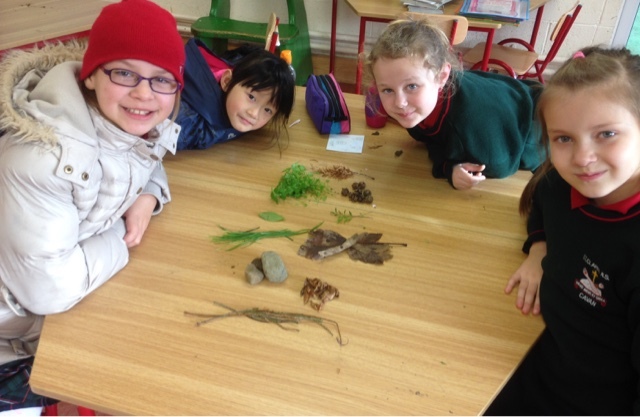 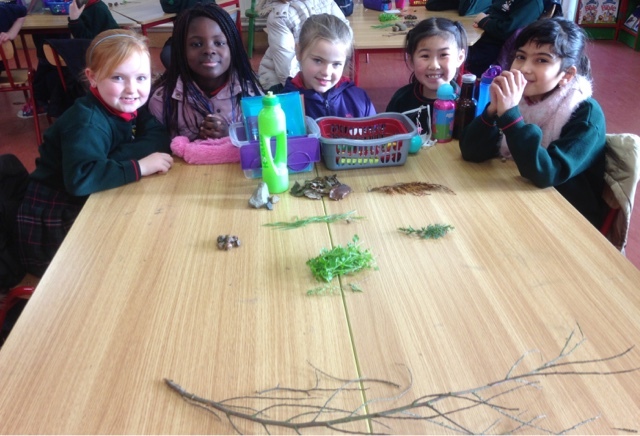 When we got back into the classroom, each group put their natural items into groups. 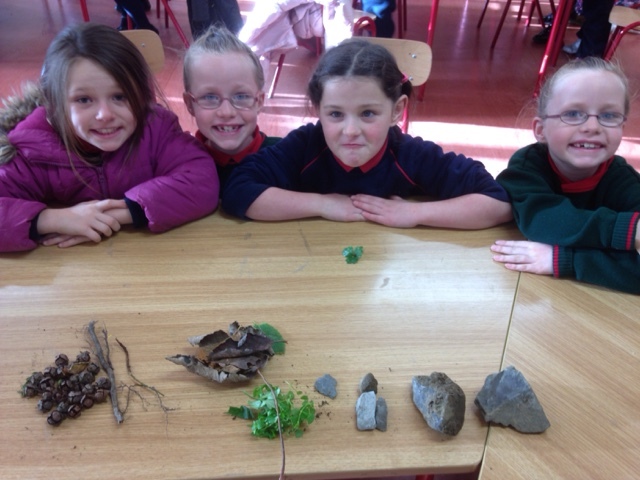 See can you guess the groups below!